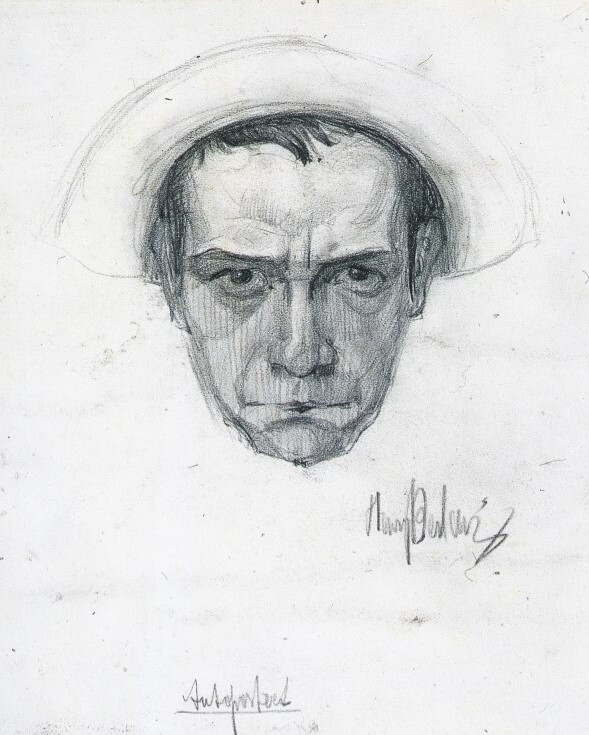 Henryk Berlewi’s artistic vocation was revealed at an early age, with the encouragement of his mother. When he was twelve, he attended the School of Fine Arts in Warsaw. In 1909, he joined the School of Fine Arts in Antwerp and then went to the Ecole des Beaux-Arts in Paris in 1911. 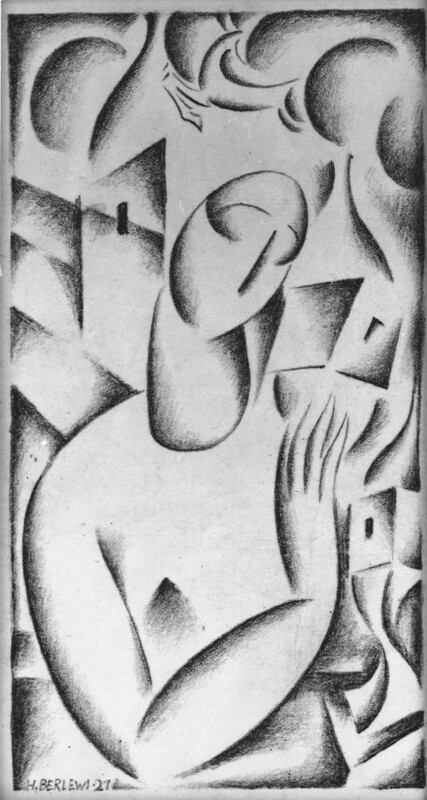 In 1913, he returned to Warsaw and collaborated with Polish futurists. In Berlin, between 1922 and 1923, Berlewi made friends with the November Group (Novembergruppe), which was founded by Max Pechstein in November 1918. He also participated in the International Conference on Progressive Art when he got in contact with El Lissitzky. He went back to Warsaw in 1923 and founded the Constructivist group Blok, with Wladyslaw Strzeminski (1893-1952). In March 1924, Berlewi published a manifesto on his concept of abstract art: Mecano-facture (Mechano-Faktur: rhythm of geometric shapes and pure colors, which give the illusion of vibration and movement). The writer Alexandre Wat prefaced the manifesto. In 1924, Berlewi insisted on the links that unite art and machines and organized the first “Mecano-facture” exhibition in the Austro-Daimler car show. Although officials found it controversial, partisans of the Blok followed the experience twenty-four hours later. During the summer 1924, Herwarth Walden, founder of the gallery and journal Der Sturm, invited Berlewi to exhibit his experiences on “Mecano-facture.” The German translation of his manifesto was published at the same time in the journal Der Sturm. In 1926, Berlewi put an end to his research; he returned to figurative art and worked on theater sets. In 1927, he settled in Paris for good. Between 1928 and 1938, he traveled to Belgium and painted the picture of some people in the political and literary world. At that time, he found out that he was critically ill and stopped all artistic activity. In 1942, he left Paris, took refuge in Nice and joined the Resistance (1943-1944). He only rediscovered a taste for art in 1947. He wished to “reintroduce the subject” and produced still lifes inspired by the French masters of the 17th century. In 1957, the exhibition on the precursors of abstract art in Poland at the Galerie Denise René in Paris prompted him to resume his research on “Mecano-facture.” The latter is today viewed as one of the sources of Op art.